Newton! Aristotle! Galileo! Descartes! Newton’s Laws! These might be some of the excited thoughts that popped into your head when we brought up physics. Ok, that’s probably good for now. Feel free to shout ‘em out if any more come to you. The forces and energy behind physics have always impacted our world and everything in it. And while we have learned quite a bit about how the universe works in the last 2600+ years, there are new breakthroughs in our understanding of forces and energy and nature happening all the time. To escape the dangerous reality of rogue waves and falling fruit (and physics class! ), we often stay in the shelter of our home. There, we can seek solace in video games. 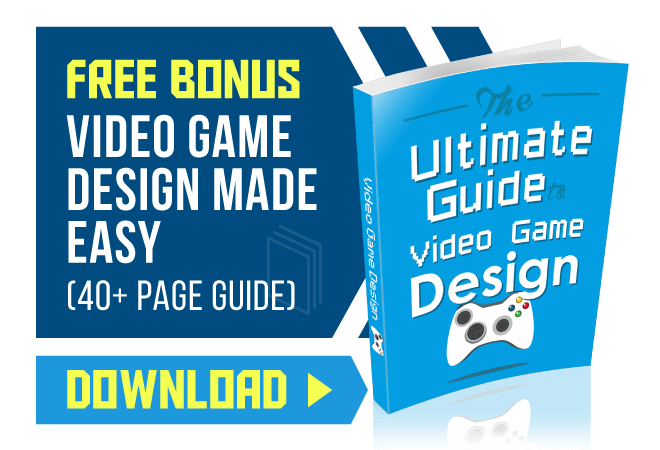 How strictly will games adhere to the laws of the universe, as we understand them? How important are laws of physics in video games?! Graphics are looking pretty good these days. When virtual reality and futuristic graphics meet, miles down the road, it’ll be amazing. We’ll finally realize that we’ve actually been in a simulation this entire time (wake up, Neo). Immersion is important in video games. It’s one reason why they’re fun. It’s a reason why they’re a great way to relax, and part of the reason why they can be so addicting. It’s amazing to dive in and explore beautiful scenery and wander around incredible places (all without leaving the comfort of our home!). Games have physics in their design–but to what degree? Do games use the same physics that guide our real life universe? Well, kind of. 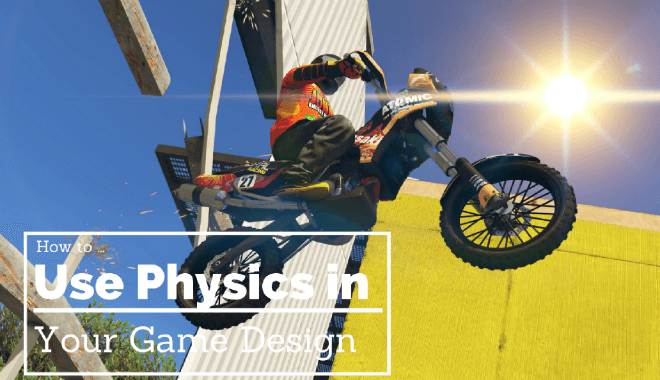 Video game physics are modeled after our understanding of real life physics in a number of ways. There are a few reasons why mimicry, and not exact physics, are used in games. Consider a game franchise like Grand Theft Auto. If you’ve driven an automobile IRL and an automobile in GTA, you’ll notice that they behave very differently. Collisions (hopefully you haven’t experienced this IRL), acceleration, deceleration, turning, etc. Big difference between the two. The Grand Theft Auto franchise would lose a lot of appeal if driving the cars in-game were like driving cars in-life (anyone who’s glided around Vice City with flying car mode activated can back us up on this–Yeah baby!). In a real car, you’re not “catching mad air,” ever. But in GTA you can do it. Your tires are super-grippy. You can take turns too fast. All that good stuff. Physics in a game should boost the fun, not eliminate it! If making your game more realistic (i.e. with more realistic physics) makes it less fun, then it’s probably not the right design move. Physics that seem to behave realistically, like shooting arrows in a bucket and having the weight of the lodged arrows impact the bucket, can be cool (thank you, Oblivion). Not so long ago, that kind of thing didn’t show up in games–when it first appeared, it was awesome. And games where the puzzles involve using the weight of random objects in the world was pretty darn neat, too (like half life). Gravity is another element that’s fun to mess with in games. Being able to jump really high, like in the Crackdown franchise, is a fun departure from reality. And any space-based game tends to ignore many realities of how space travel would actually work. It’d be fascinating to watch payers IRL all of a sudden take off down field with a blue Tron streak behind them, but alas, speed boosts just aren’t for the real world. These breakaways from real-world physics behaviors get explained away with convenient cybernetic enhancements or futuristic tech (or sometimes they’re accepted as part of the game, in the case of sports games)–but it’s ok with us, the players. As long as these departures are consistent within the game, and–more importantly–fun, who needs Newton’s Laws? It’s possible that you think of physics equations as something programmers code right into their games. But that’s not always the case. Video games need to be told what to do. They aren’t processing advanced physics equations thousands of times over, or solving for variables. They’re computing simplified equations that mimic real-physics. And not even the real world runs on the physics equations we’ve come up with. It’s not as if the universe is running trillions of these calculations in real time. Physics and the equations involved are a way for us humans to understand what’s happening–we invented these manmade equations to explain what we’re observing. Which is kind of a neat way to think about it. Of course, if this really is a simulation that we’re already in…then everyone’s wrong and there are physics equations running behind the scenes. A helicopter in a game, for example, isn’t designed to actually take off against gravity. It’s more likely that the gravity simulation in the game turns off when you “take off” in the helicopter. Things like trajectory, or how light rays are reflected, or even characters jumping do involve some physics equations. That’s why a lot of physics coding is actually being done by science graduates. But the final “physics“ decisions for the game ultimately come down to the input of the designers. Fascinating, isn’t it? What a time to be alive simulated! So if physics are just simulations and not actually the equations we use to describe energy and forces and natural laws–how do you go about getting it into your game? A lot of developers turn to middleware. Certain companies, like Havok, are middleware providers. Middleware is software that mimics physics. It can include elements like collision detection or rag dolling. These can be costly additions to a game, both from a computing-power and a time-cost standpoint. Developers use physics middleware as a way to more easily add mostly-believable physics-simulations to their games. And then there’s always physics-based games… Angry Birds, Goat Simulator, etc. The fun of these games relies on physics–augmented physics, but still physics: gravity, velocity, trajectory, momentum, collisions, etc. For now, you can make a game with passable physic behavior, or a game that focuses heavily on physics. Programmers take a lot of shortcuts when it comes to physics. While the formulas might be rooted in “real” physics, things are getting simplified behind the scenes. 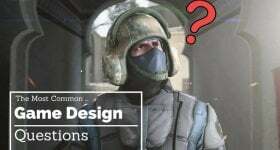 There are elements that go untouched–the level structure (unless it’s an environment you can damage, like in Battlefield), everything under the surface of a body of water, or things that would bend or flatten IRL but don’t in-game. It will be interesting to see where future gaming improvements take in-game physics simulations. For now, though, we’re content with Goat Simulator.